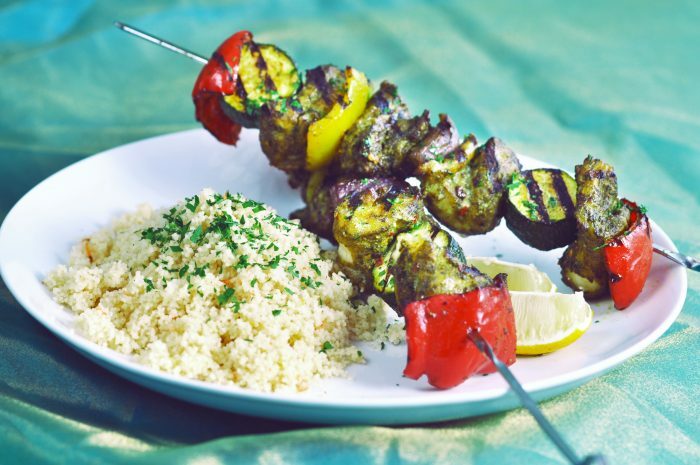 Mix the Ras El Hanout with oil and marinade fish, chicken or lamb for 30 minutes. Thread sliced vegetables and chicken onto the skewers and grill or BBQ for 10 minutes until cooked. Drizzle with lemon juice and garnish with chopped coriander. Serve with your choice of rice or couscous and potato salad.